Banchan (also spelled panch'an) refers to small dishes of food served along with cooked rice in Korean cuisine. This word is used both in the singular and plural. The most famous banchan is kimchi. Left: Various banchan served at a table. Banchan are set in the middle of the table to be shared. 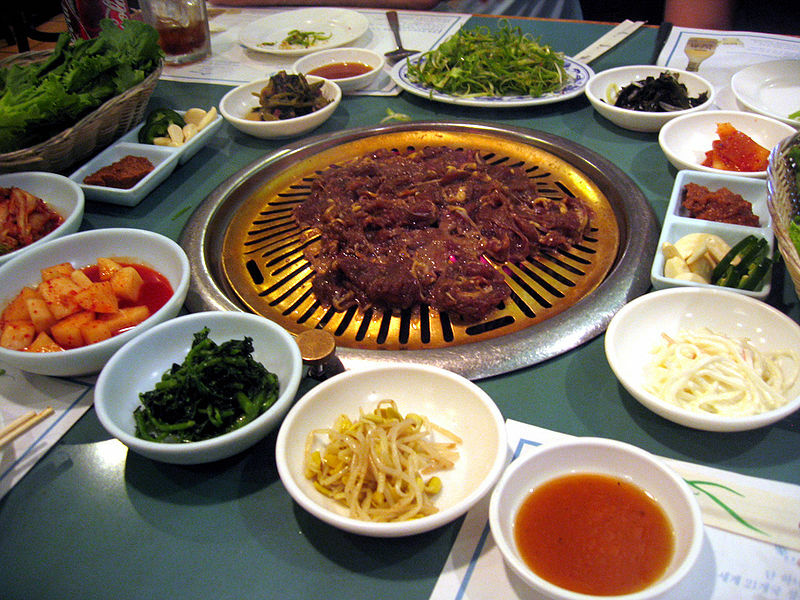 At the center of the table is the secondary main course, such as galbi or bulgogi, and sometimes a shared pot of stew. While the main course of the meal is sticky rice. Bowls of cooked rice and soup are set individually. Banchan are served in small portions, meant to be finished at each meal. They can be replenished during the meal as they are finished. Usually, more formal meals have more banchan. 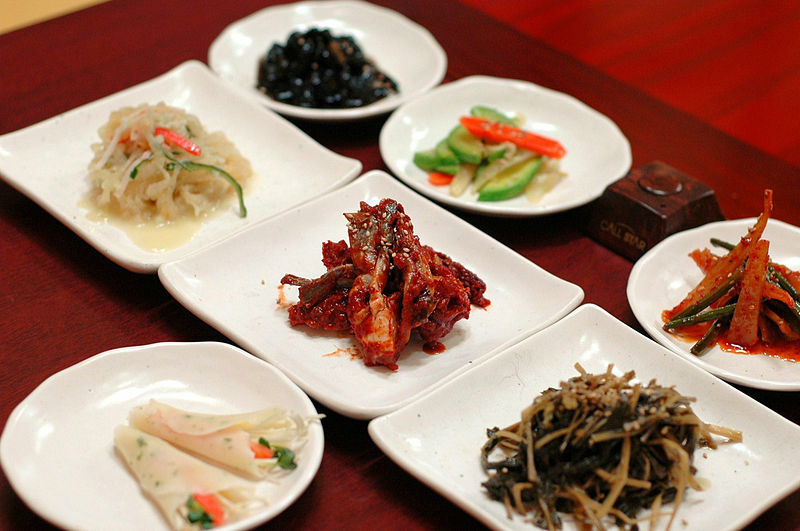 The Jeolla province is famous for serving many more kinds of banchan in a single meal. Left: Banchan and Bulgogi (in the middle).